Handy refill for your Fresh soap pump bottle! 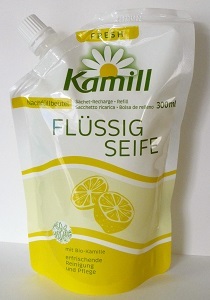 This refill contains the popular Kamill Fresh Liquid Hand Soap and allows you to replenish your soap supply while continuing to use the original 300ml pump bottle. You can be a little more environmentally friendly and save money at the same time!